I will never forget the time that five of us got Rotavirus, a super fun disease that causes severe watery diarrhea, often with vomiting, fever, and abdominal pain. In babies and young children, it can lead to dehydration. It was in early 2006 when we were living on Long Island for Hubby's residency. Joey and Slim had just turned two and Knox was about 5 months old. I kid you not, it was like the Apocalypse had come to our tiny rental. All three of the boys were projectile vomiting and pooping like there was no tomorrow. I couldn't keep up with all the carnage. 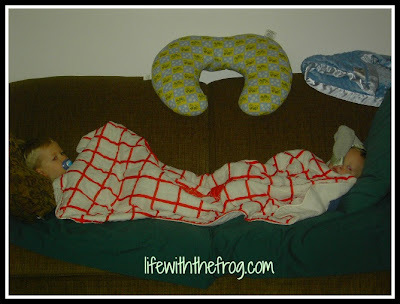 Luckily for me, we didn't have carpeting, so I rolled up the area rug, moved all of the toys out of the living room, put sheets on all the furniture and cruddy play clothes on the boys, got bowls and lots of diapers, and just waited it out. Of course, once they were done, Hubby and I got it, too - luckily, in succession so we weren't both down for the count with no one to take care of the boys. It was so awful. I will never forget that week in our lives. Thank goodness, the rotavirus vaccine for infants was introduced later in 2006. My fourth and fifth sons have never had rotavirus. In addition to hand washing and hand sanitizer, I am now vigilant about my family's use of probiotics. According to experts at WebMD, probiotics can cut infectious diarrhea by half a day to about two days. 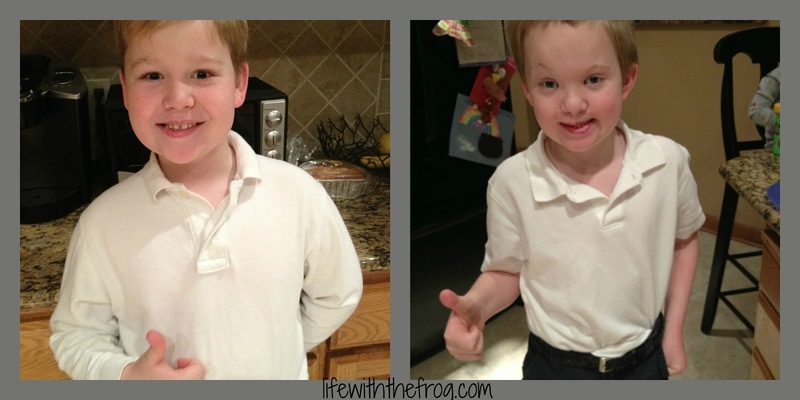 In the last two years, my boys have not gotten sick as often as they used to before we began religiously taking probiotics; and if they did, their illnesses lasted only about a day. 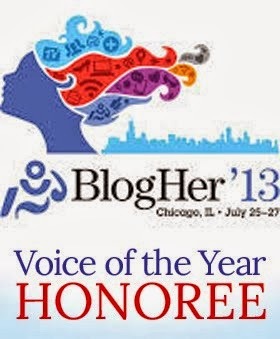 That's why, when I was introduced to Culturelle® Probiotics, I was excited! Yet another product to help keep my family healthy. Just looking at the information on the package, I knew this was going to be the right product for us: naturally sourced color, sugar, dairy and gluten free, helps reduce occasional digestive upset by supporting kids' natural defense systems. Sounded good to me. Culturelle® Kids Probiotics is the #1 most pediatrician recommended probiotic brand because it contains 100% Lactobacillus GG, the most clinically studied probiotic strain, proven to work safely and naturally to restore digestive balance. 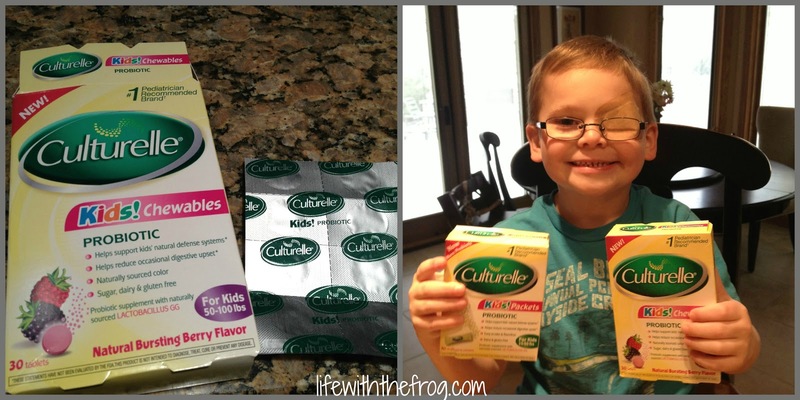 Culturelle® Kids also comes in single serve packets for younger kids. They are flavorless, and dairy and gluten free. I sprinkled some in my younger son's milk, and he happily gulped it down, unaware. At roughly $26 per box for a 30 day supply and available at all major retailers, I would definitely buy Culturelle® Kids products again. I'm always looking for any way I can to avoid major illnesses! Culturelle® Kids Probiotics is a natural solution for better digestive and immune health. Not only does it support a child’s digestion, helping to reduce occasional digestive upset, but it also helps to boost digestion and overall digestive health. Considering that 70% of your immune system is in your digestive tract, a healthy and balanced digestive system plays a vital role in strengthening a child’s overall health and well-being. 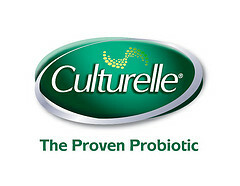 To learn more, check out the Culturelle® website now. This is a sponsored post written by me on behalf of Culturelle® Kids Probiotics.